If you and your date are movie buffs, then why not plan a film-themed date? There are plenty of great cinemas, museums, movie tours and underground film events to keep you entertained in London. 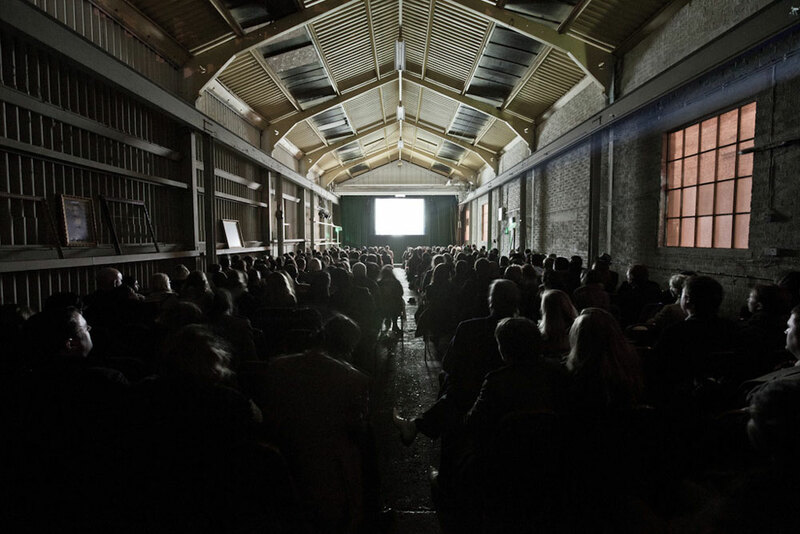 For a truly immersive cinema experience, book a ticket to Secret Cinema and prepare to be amazed! This revolutionary underground film movement aims to change the way people experience films. The mystery location isn’t actually revealed until the day of the screening. You then dress up according to the theme and follow clues that take you to a location full of actors, live installations, musical performances, interactive sets, food, drink and special guests – all related to the film you will be watching! You could end up in a graveyard, a warehouse or a five star hotel – but you won’t find out until after you’ve booked your ticket! What better way to prepare yourself for a film than to step right into one beforehand? To get an idea of the size of this place – imagine five double-decker buses stacked on top of each other and you’re almost there! The BFI IMAX is the UK’s biggest cinema screen, and at 20 x 26 metres, you couldn’t wish for a bigger or better view! They have some amazing 3D movies such as Captain America, Spiderman and Dinosaurs 3D as well as lots of classic movies in 2D. This is the ultimate larger-than-life cinema experience for film fans wanting to feel part of the action! If you want relive your favourite movie scenes – why not go on bus or walking tour? Brit Movie Tours offer a variety of different guided tours with commentary, trivia and insider secrets from films such as The Da Vinci Code, Sherlock Holmes, The Bourne Ultimatum and many of the James Bond movies. For the RomCom lovers out there, there’s even a “Romantic Movie London Tour” where you’ll visit filming locations from Love Actually, Sliding Doors, Bridget Jones’s Diary, About Time and many more. For a luxurious film viewing experience, head to The Electric. There are spacious leather armchairs with foot-stalls as well as two-seater sofas at the back and double beds on the front row! If you get a bit chilly, a soft cashmere blanket is provided so you can snuggle up with your date. There’s a great bar next to the auditorium so you can carry your drinks and snacks into the cinema with you. This is definitely a place to impress your date with cocktails, comfortable seating and a romantic atmosphere! This quirky independent cinema is just around the corner from all the movie giants in Leicester Square. It offers incredibly cheap tickets with prices as low as £1.50 a film if you’re a member, (which only costs £10 a year). They have marathon nights with back-to-back films as well as sing-a-long sessions with classic films such as Grease and The Sound of Music. Audience participation is strongly recommended here, and the funniest theme nights are the Quote Along nights where audience members dress up as their favourite characters and shout out movie quotes! So dust off that Ron Burgundy suit and get ready for a laughter-filled night! It’s cheap, it’s unique and it’s at a great location – what’s not to love? For a truly decadent movie experience, head to The Lounge, where you can enjoy a three course dinner, delivered to your seat whilst you watch your film. Dishes include fillet steak sliders, salmon sashimi and Jerusalem mushroom and wild mushroom lasagne. The soft leather chairs recline at the touch of a button, and there is double the leg-room of usual cinema seats. In addition to this, the cinema is over 18’s only so you can guarantee no distractions from younger members of the audience. Ever feel like you don’t want to waste a warm evening stuck in a stuffy cinema? Well here’s the solution; jump into a rooftop hot tub with a perfect backdrop of London’s skyline whilst enjoying a film screening! Hot Tub Cinema events start in June every year and you can reserve a whole hot tub or buy individual tickets. There are 2 large movie screens and around 20 hot tubs, so lie back, enjoy the bubbles and have a movie experience like no other! This cool museum in Covent Garden has an extensive collection of film artefacts, memorabilia and set pieces and scripts. Be sure to check on the latest James Bond exhibition “Bond in Motion” which has a huge collection of iconic Bond vehicles as well as action sequence boards and props. On a warm summer’s evening, what more could you wish for than to watch a famous movie on a big screen at an iconic London location? That’s exactly what The Luna Cinema is all about. Bring a blanket and a picnic, and get ready to watch a film at sunset on the grounds of one of London’s historical settings. Previous locations have included Kew Gardens, Kensington Palace, Hampton Court Palace and Regent’s Park. The Ritzy is the UK’s largest independent specialist cinema and it’s the perfect place for film buffs. It has something for everyone – from foreign language films, to independent arthouse movies to mainstream Hollywood blockbusters. This place is all about being eclectic and catering for all tastes. There are regular Q&A sessions, film festivals and there’s even a swanky bar. If you want to stay out with your date after the film, then “Upstairs at The Ritzy” hosts DJ nights, film quizzes, jazz nights and comedy evenings! From edgy underground experiences to sophisticated screenings, there are so many ways to appreciate London’s excellent film scene. So pick your favourite and get ready for a date with a difference! Is Your Partner Using Their iPhone To Cheat? And What To Do If They Are.